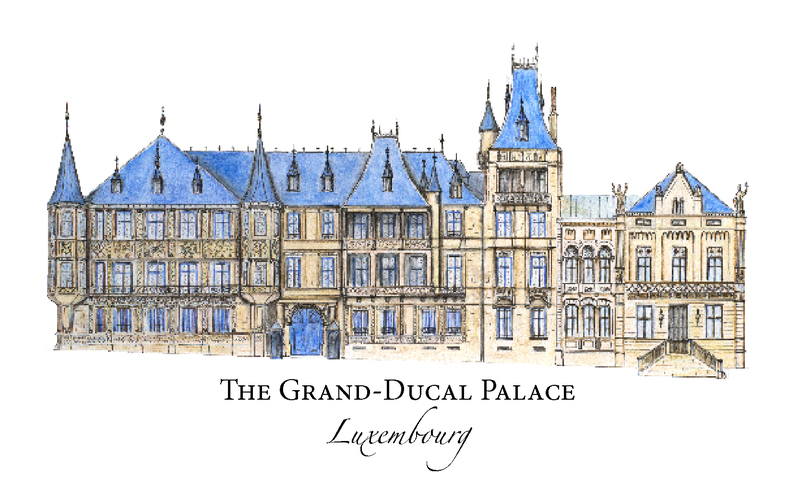 It’s National Day in my host country so to celebrate I drew the Palace of the Grand Duke! Just a few views below of the work in progress, only 10 hours or so! You see there are no pictures of the palace which shows it this way. The square in front of it is too small to have a view other than a side view. So I had to go there and study it and reconstruct it piece by piece. It was quite a challenge!! I hope I did manage to respect most of the proportions and… the roofs!! New Design for castles lovers!